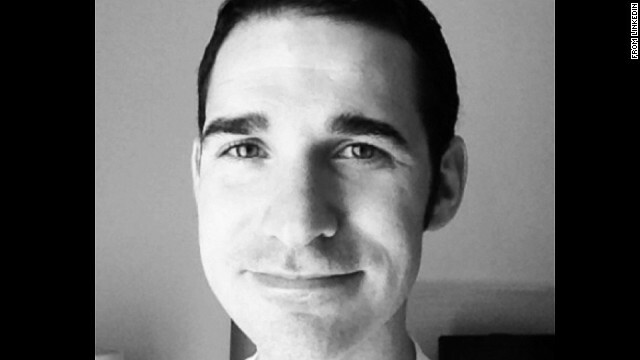 Physician Craig Spencer is New York City's first patient diagnosed with Ebola. New York deals with its first Ebola case. The Ottawa gunman had "connections" to jihadists. And Facebook's founder delights the tech world by speaking Mandarin. Now in the Big Apple: A doctor who recently returned to New York from West Africa has tested positive for the Ebola virus, becoming the first diagnosed case in the city, authorities said last night. Craig Spencer came back from treating Ebola patients in Guinea on October 17. The 33-year-old developed a fever, nausea, pain and fatigue yesterday. He is in isolation and is being treated at New York's Bellevue Hospital. Spencer, who is in intensive care, went for a jog, may have gone to a restaurant, traveled the city's vast subway system and went bowling before feeling ill, but authorities stressed that the likelihood of him spreading the virus was low. NYC violence: A man charged at four New York police officers with a metal hatchet yesterday, hacking one officer on the right arm and hitting another on the head, according to New York's police commissioner. The two other officers shot at and killed the attacker. Authorities are looking to see if the unprovoked attack in the Queens section of town is tied to recent calls by radicals to attack military and police officers, law enforcement officials say. More about the shooter: The Ottawa gunman had "connections" to jihadists in Canada who shared a radical Islamist ideology, including at least one who went overseas to fight in Syria, multiple U.S. sources have told CNN. However, Canadian Foreign Minister John Baird told CNN's Christiane Amanpour that there is "no evidence at this stage" that Michael Zehaf-Bibeau was linked to a wider group, or network. He was born as Michael Joseph Hall in 1982. He had criminal records indicating infractions related to drugs, violence and other criminal activities. Lunar cover-up: Did you catch yesterday's partial solar eclipse? The sky show reached its height at 5:45 p.m. ET, about an hour before sunset on the East Coast. The moon clipped the sun and made it look like a fingernail as it set across most of the country and Canada. People living in the Central time zone had the best view. New England and Hawaii missed out on this one altogether, and so did folks anyplace where clouds got in the way. Who knew? So, Mark Zuckerberg apparently speaks Mandarin. The Facebook founder posted a video this week of himself participating in a 30-minute question-and-answer session, mostly in Chinese, at Beijing's Tsinghua University. And online writers - especially the tech bloggers - just freaking love this story. General reaction: Like OMG! Zuck speaks another language?! - Enough is enough: This little rhino learns that you can mess with a giraffe for only so long. - Middle-earth air travel: Air New Zealand scores with this Hobbit-themed safety video. - Bearly shopping: This baby bear must have been born to shop for the "bear" essentials. The cub slipped into an Oregon store, surprising shoppers over the weekend. - The scenic route: Why shoot the short putt when you can rack up some frequent flier miles. - Superhero heaven: We know you've been waiting for it. Here's the first official trailer for Marvel's "Avengers: Age of Ultron." It will be in theaters on May 1. Since a DOCTOR entered our country contaminated with Ebola, it is even MORE crucial that we close our borders to Africa and Liberia! What is this Obama administration waiting for? Until ONE OF THEM contracts it you won't see them DO ANYTHING! That was some kick that that giraffe landed on that rhino!!!!!!!! Memo: when playtime is over it's over!!!!!!!! OMG!!!!!!!! LOL!!!!!!!! I didn't see one shopper in Rite Aid drop to the floor and roll their body into a ball!!!!!!!! Isn't that what you're suppose to do when you encounter a bear in Rite Aid?!?!?!?!?!?!?!?! Have an enjoyable weekend everyone!!!!!!!! Just a thought: Let's stop denying Ebola is barely under control in this country and extreme Islamic terrorist are a problem. People start seeing police a being as dangerous, if not more so, than bad guys. People start rebelling against law enforcement, some even going so far as to attack police outright. Police are justified in using excessive force.